We felt that our adoption had given us a chance to provide love, opportunity and a happy, healthy home for a child who may not have had these things otherwise. This is one of the reasons we made the jump to adoption so quickly and that we didn’t keep trying to have a biological child. It felt right and we felt blessed by the chance to change a life. There is no doubt that all of the caucasian babies that come through our agency/law center will find homes because there are 70+ families that want each and every one of them. Those children, while it’s true that they need homes, will not have any trouble finding them. But it’s different for babies of other races. There are a disproportionate number of minority babies needing homes, far more than there are homes available to them. The odds get much, much worse when the child is an African American. Our caseworker told us there are typically only 8-10 families out of 200-250 who are open to adopting an African American infant and of those 8-10 families, most are single white women or gay white couples. 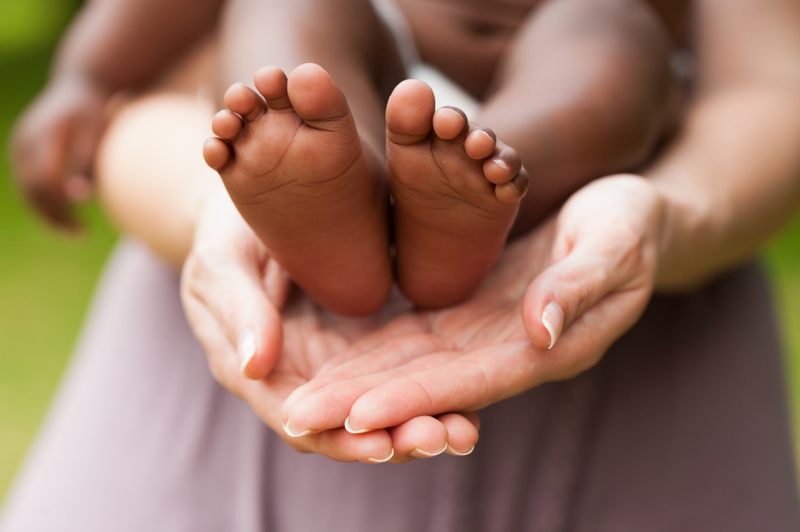 Hardly any traditional white families are open to adopting African American babies and there are far more waiting African American babies than there are families open to adopting those babies. Learning this really tore my heart apart and changed my feelings about our adoption. It’s so terribly heartbreaking for the children, many of whom end up languishing in the foster care system because there simply aren’t enough families willing to adopt them. Did you know that simply being a full African American baby puts you in the “special needs” category in the adoption/foster care system? Sadly, the color of your skin still matters more than just about anything else when it comes to people categorizing you. The reasons for this divide are complicated. Obviously, there is a very painful history between our two races, and that history, unfortunately, is still an open wound for many people. As white people, we like to think that we are past racism as a society, but that is only because the inequality doesn’t really affect us and we have the privilege of not having to worry about it. Not true for black people. They are still affected by inequality in so many ways. While we are supposed to be equal in every way, that is not the case. Not really. There is still a divide, and we have two different and distinct cultures because of it, with a heavy amount of mistrust between the two. In the 1960’s, a coalition of black social workers made a statement that white people should not raise black children and that black children were better off in institutionalized foster care until a black family could be found to raise them. They were understandably worried that a black child raised by a white family would lose his heritage and culture, but nothing could have been worse for the black children that needed homes. Not nearly enough black families were available to adopt, so many black children needlessly suffered, moving between foster homes or falling out of the system altogether to wind up who knows where and were never blessed with stable, loving homes. White families were scared away from adopting them or were not allowed to do so under state law. Those social workers now recognize that a white family is better than no family at all and the laws have changed, but still–I read about this when we were taking our adoption training course and it terrified me. Who are we to adopt a black child if the black community doesn’t want us to do so? Am I qualified to raise a black child? The last thing we want to do is harm a child in any way by raising him/her in a white family, and we certainly don’t want members of the black community condemning us for it. All we want to do is give a child a loving, stable and healthy home and, to us, the color of his or her skin does not matter. It seems to me that if we truly want to move past racism as a society, we need to stop being racist about things like adoption. 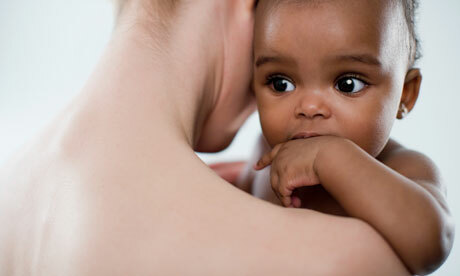 Why is it automatically better for a child to be raised by parents of the same color? Couldn’t we, as white parents committed to embracing black culture, do just as good a job raising a black child as a black couple could? Wouldn’t the diversity of our family be a positive thing for the world? Why do we insist on continuing this segregation? We are all people, and we all come from the same place. America is a melting pot, after all, and blended families, biracial faces and minorities are quickly becoming the majority. Wouldn’t a black child raised in a white home be given the advantage of bridging the black-white racial divide and being comfortable in an increasingly colorful world? These are the questions that have been swimming through my mind for the past several months as we made the progression toward opening up to transracial adoption. We have thought long and hard about this and are excited about the fact that Charlie may very well be African American. We think this would be such a blessing. We have love to give a child who needs it and the strength and courage to love him or her whatever the color of his skin. We understand raising a black child may bring more challenges than we can imagine right now–after all, we will never be black–but we also feel that it may bring us immeasurable joy as well. We are not afraid of change, we are more than willing to educate ourselves and Charlie on black culture and history and to be sure we expose Charlie on a regular basis to black faces, role models and friends. We know we will have to take a much more thoughtful approach to parenting and equip Charlie with the tools he needs to navigate a society where not everyone sees black as equal to white. I’ve already read two books on the subject and all say basically the same thing: that raising a black child in a white family is enriching and rewarding and can be an absolutely incredible experience so long as we are committed to helping him form a positive racial identity and teach him to be proud that he belongs to two worlds: both black and white. In other words, we can’t raise him as if he were white and the world was colorblind. We understand that and believe we can do it. Part of me is scared to leave our comfort zone but that feeling is overcome by excitement, immense love and a feeling that we’ve made the right decision. This is the same slightly terrified feeling Jamie and I had before we struck out from Denver to Seattle, which was one of the best years of my life to date and opened up so many opportunities for both of us that we would not have had if we had stayed on familiar ground. I had this feeling right before we moved to San Francisco, too, and before we were married in California (the best decision of my life). I also had it right before we moved to Charlottesville, which is exactly where we need to be right now. This feeling assures me that I’m about to take a huge risk and a huge leap and that I’m absolutely right to be scared, but that it could very well be the most incredibly, imperfectly perfect thing I ever do. I trust this feeling. It has served me well. This feeling reminds me to be brave and courageous and to go boldly into the unknown no matter what fears other people or society tries to instill in me. It reminds me to follow my heart and gut instincts, because that’s what life is all about: pushing real and imaginary boundaries, taking the path less traveled, and striking out on frightening yet transformational journeys that others might shrink away from. Because, in the end, that is what I want to define me. No doubt, transracial adoption will be the adventure of our lifetime. We will need to prepare and be much more measured in our approach to parenting than if we were raising a white child that looked like us and shared our skin tone. But that, to me, means that the journey–as filled with challenges and pitfalls as it may be–could be that much richer. Thank you for posting this! I knew the statistics were low for the adoption of African American babies, but I had no idea just how low! Good for you guys! I look forward to reading more updates on your adoption. I really admire your attitude! Thank you so much, Jen – it means a lot to me that you are reading and taking the time to comment! This whole process, this decision, has been an evolution that is for sure but it feels like we are moving in the right direction. We are really excited — hopefully we will be up to the task! You’re so welcome! It’s very interesting to me! I never thought about what the black community felt about whites adopting “their” children or vice versa. I always hope the lines of racism will blur, but in reality they are still there…..sad…..
I’m alone in my house cheering you for! And for Charlie! (S)he is going to be so blessed to have a family that is going to help him celebrate the successes in life and overcome the obstacles and everything in between. And I’m sending you an interesting family story. Now where are you registered?